The work of 10 Department of Journalism researchers is being showcased in the four largest international conferences in the field of media and communications. City scholars presented refereed papers at the International Communication Association (ICA) in May 2018 and the International Association for Communication and Media Research (IAMCR) in June, with the Association for Education in Journalism and Mass Communication (AEJMC) conference coming up in August and the European Association for Communication and Media Research (ECREA) conference in late October and early November. Senior lecturer Dr Mel Bunce (right) has had an especially successful conference season, with refereed papers accepted for each of the big four – and a prestigious award for best African Journalism Studies paper from AEJMC. 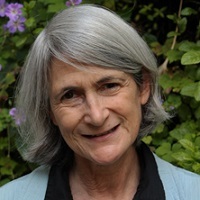 Professor Jane B. Singer’s work is being presented at three of the four: ICA, AEJMC and ECREA. Also showcasing City’s research this year, both through the presentation of scholarly work and participation on conference panels, are Head of Department Professor Suzanne Franks (AEJMC); academic staff members Dr Abdullahi Tasiu Abubakar (IAMCR), Dr Lindsey Blumell (ICA), Dr Glenda Cooper (ECREA), Jonathan Hewett (ECREA), and Professor Howard Tumber (ECREA); Dr Colin Porlezza, who joins the department in September from the University of Zurich (ICA and ECREA); and PhD student Radwa Mabrook (ICA). “The intellectual work done by City journalism scholars is really making a mark this year,” said Professor Singer (right), who serves as the department’s research lead. Below is a full list of City journalism research presentations presented or accepted for presentation at these four international conferences. All three, along with Glenda Cooper and Colin Porlezza, also participated in pre-conference research sessions. Jane B. Singer (with Marcel Broersma, University of Groningen): ‘Innovation and Entrepreneurship: International Journalism Students’ Interpretive Repertoires for a Changing Occupation’; International Communication Division. Professor Singer also served as a discussant for a set of Newspaper and Online News Division research papers on fake news.